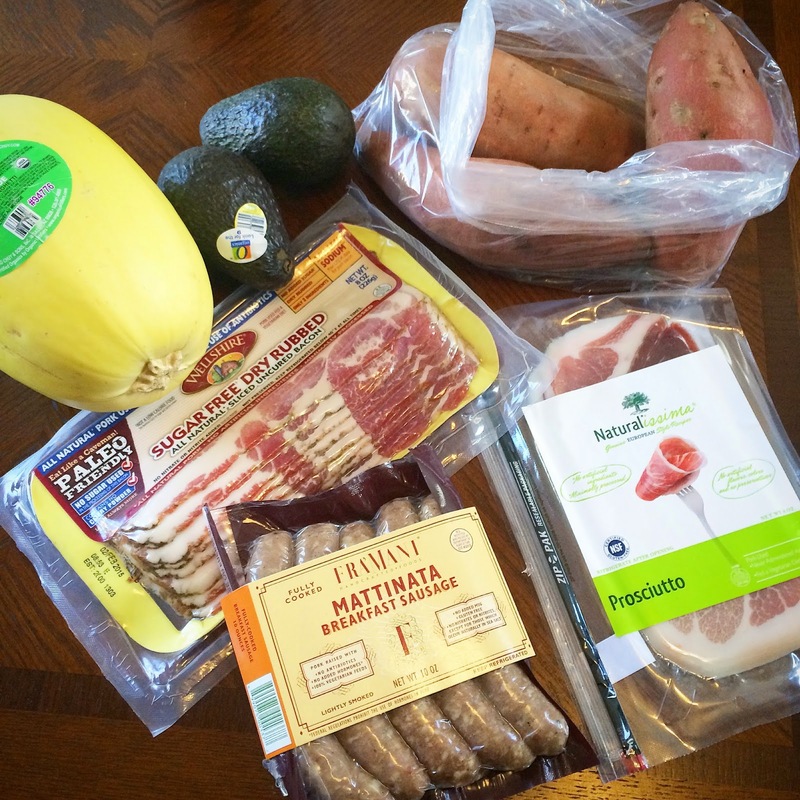 Just Jessie B: Whole30 Eats: Grocery Finds! I'm on day 10 of my Whole30, and finally feeling... great! This round of the program has been much tougher than my first; simply because I was eating a lot worse before starting this time. I actually had some junk to 'detox' from, and some cravings to kick. Later on, I'm planning to do a round-up post where I let you know how I felt throughout the Whole30 (with all the ups & downs), but for now I'd like to share a few things (aka: lots of food) that I've found along the way. The items mentioned below are from a few different trips to Safeway, Whole Foods, & Target~ I will let ya know specifically by each picture. I also have two new items that we got from Santa this year (he found them on Julian Bakery's online store) that I have been loving! From Safeway: Spaghetti Squash has stolen my heart! First time trying it; absolutely love. I'll do a recipe sometime soon- but it's super easy. Avocados are another must for topping a spicy dish (chili, my enchilada bake, etc.). I've also been loving sweet potatoes for bulking up a dish & adding some carbs to my diet when needed. From Whole Foods: The Wellshire Farms Sugar Free Bacon is one of the few Whole30 compliant options I've seen. It bakes up perfectly crisp & tastes amazing. I don't miss the sugar one bit! Another breakfast staple has been the Fra'Mani Mattinata Breakfast Sausage. It's got that traditional pork sausage flavor with no added sugars of any kind. Fully cooked, so I just grill it to brown it up a bit. Last but not least, Naturalissima Prosciutto has been a great addition to wraps in place of lunch meats. The only ingredients are pork & sea salt. This Paleo MeeNut Butter is amazing over sliced bananas or for dipping your apples. It's made with primarily organic nuts & coconut- and is perfectly Whole30 compliant! 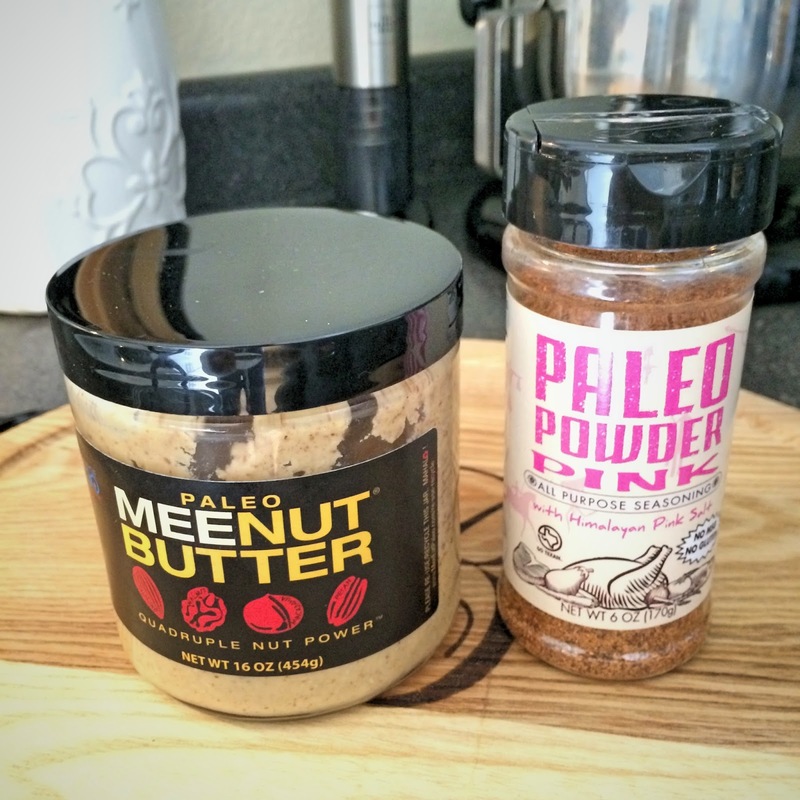 My go-to seasoning has been this blend: Paleo Powder Pink: All-Purpose Seasoning. It's the perfect mix of all of the spices I would typically throw onto any dish, but so much more convenient. Highly recommend! Larabars are the perfect Whole30 treat, as long as they don't have vanilla extract in the ingredients list. Coconut Cream Pie & Apple Pie are two flavors I love that fit the bill. I also found some great drinks for an awesome price... a GT Millennium: Synergy Kombucha (Trilogy Flavor) ~love~, as well as a couple of SUJA Essentials juices (Sweet Beets & Berry Mana). Haven't tried the juices yet, but they sound tasty! I also grabbed a couple boxes of Yogi Tea that don't contain any stevia or sweeteners, as I've been loving teas lately to warm me up & keep me from snacking. I am starting Whole30 starting in April. I am most nervous about the cravings. I eat more treats than I like to admit, but I worry that I will go through withdrawals or something similar to what a heroine addict would go through when quitting cold turkey. Any good suggestions to kick the cravings? Hey Sean~ I've had plenty of cravings while on Whole30, but nothing unmanageable. Just don't let yourself go hungry! That's when you'll cave. I really had the "withdrawal" symptoms on my most recent round... headaches, fatigue, etc. Just eat really large meals. If you are someone who likes to break up your meals with snacks, try Larabars, RxBars, boiled eggs, sliced apple with nut butter, etc. Don't be afraid of extra calories on the Whole30~ it's more about the ingredients you are consuming than anything else! 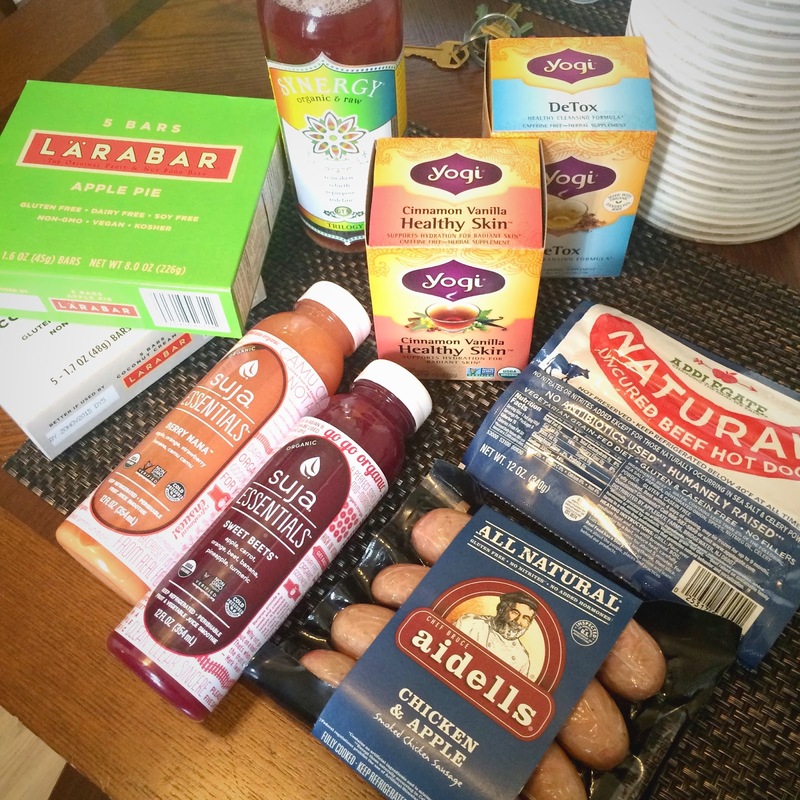 Grocery finds post is great! About to do my 4th Whole30 starting January. I found bacon without sugar too, but it had nitrates? is that W30 compliant?